We suspect this week's Nintendo Download Update for North America will be rather popular with retro and Rare fans, making up for Nintendo of America's slight delay in issuing the details. Alongside these Rare classics are some attractive new download options on both systems, too - let's get right to the details. Missed the European Nintendo Download Update details earlier in the week? That was daft! Don't worry, you can still see all the details right here. GravBlocks+ (From Nothing Game Studios, $4.99) - This is a block-falling puzzle game that aims to apply a twist with gravity-based mechanics and hazards. There are five modes and a promised 150 puzzles, so this is certainly trying to distinguish itself from similar downloads; we'll keep our feet on the ground to bring you a review. Donkey Kong Country (Nintendo, $7.99) — One of the all-time classic platformers, this title from Rare made stars of DK, Diddy Kong and Cranky Kong, while using graphical technology that was mind-blowing in the 16-bit era. We argue that it's barely aged a day, as a gaming experience, in our Donkey Kong Country review. Donkey Kong Country 2: Diddy's Kong Quest (Nintendo, $7.99) — The second home console DK entry from Rare, this one puts you in charge of Diddy Kong as you seek to rescue the captured DK; it provides more of the attractive visuals and gameplay that made the first title so hugely popular. We couldn't say enough positive things about this in our Donkey Kong Country 2: Diddy's Kong Quest review. Donkey Kong Country 3: Dixie Kong's Double Trouble (Nintendo, $7.99) — The final game of this series on the Super NES, now the Kremlings have managed to kidnap both DK and Diddy, leaving the rescuing down to Dixie and Kiddy. Aside from expanding the cast once again, this also throws in two-player team play and contests; this didn't thrill us quite as much as previous entries but is still rather good, as explained in our Donkey Kong Country 3: Dixie Kong's Double Trouble review. IronFall Invasion (VD-Dev, free, $9.99 for Campaign or Multiplayer individually, $19.98 for both) - This action-shooter was produced by a small studio of three and aims to fil a notable gap in the eShop's line-up - it utilises the c-stick on the New Nintendo 3DS (or Circle Pad Pro on older models) while it includes local and online multiplayer modes for up to six alongside a single player campaign. We gave this a reasonable recommendation in our IRONFALL Invasion review, and you can learn more about it in our interview with developers VD-Dev. 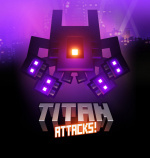 Titan Attacks! (Curve Digital, $9.99) - Previously on PSN, this is a modern spin on the classic Space Invaders formula with 100 levels, boss fights, multiple environments and the option to earn in-game credit and buy power-ups for your ship - online leaderboards are also thrown in. We've enjoyed this and its chunky, colourful pixels on other systems, but we'll see how it stacks up on 3DS in our review. Donkey Kong Land (Nintendo, $3.99) — The DK theme continues as this Game Boy platformer makes its Virtual Console début; this title was also developed by Rare and followed the arrival of Donkey Kong Country, incorporating the same basic principles onto the humble 8-bit handheld. We enjoyed this a lot in our Donkey Kong Land review. Donkey Kong Land 2 (Nintendo, $3.99) — This has the same storyline as the second Donkey Kong Country title arriving on Wii U this week, but (like its predecessor) provided all new levels in its Game Boy guise. This is very similar to its SNES equivalent, and made less of an impact on us in our Donkey Kong Land 2 review. Donkey Kong Land III (Nintendo, $3.99) — Completing the Rare portable trilogy in this iconic series, this ia absolutely packed with content that defied its humble 8-bit origin. This is also, in our view, the best of the Donkey Kong Land Game Boy trilogy; you can see why in our Donkey Kong Land III review. Buy any of this week's Donkey Kong Country or Donkey Kong Land Virtual Console games and get 30% off Donkey Kong Country: Tropical Freeze and Donkey Kong Country Returns 3D, valid until 3rd March. Around the World in 80 Days (DSiWare, 500 Nintendo Points) — When a fresh DSiWare title appears you can be sure that's it's either a match-3 title or hidden object game. This is the former, and with a bit of storyline and plenty of puzzles isn't a bad effort; you can learn more about it in our Around the World in 80 Days review. More discounts will be listed on the official eShop Offers web page. That's everything, North American download fans. Let us know what you'll be downloading in the comments and poll below. I'll be getting Donkey Kong Country 3 since that's the only one I don't own yet. Great week for Virtual Console! Cue the happy people. At least I hope. We've been a crabby lot lately. These tears, they are of joy. I wonder what people will find to complain this week. People will find something else to be crabby about now. Yaaaay! It's about stinkin time! I was wondering why it was taking so long for the NA's eShop release list to pop up this week until I saw this trailer. So much Donkey Kong this week...omg...its on LIKE DONKEY KONG!!!!! TNT Racers is a fun game, worth the sale price for sure. Not a big DK fan, but maybe GravBlocks if it gets good reviews. Are the Donkey Kong Land games just Game Boy versions of the SNES Donkey Kong Country games? Am I the only one getting ironfall? OMG OMG OMG OMG OMG!!!! DKC Trilogy Finally!!! Thank you Jesus!!! We finally get the DKC trilogy back! I'll definitely be getting the first game today. I'll give Ironfall a look soon enough, and I might grab the Donkey Kong games someday. There's no option for "All the Donkey Kong games!" There's no vote option for all the DKC/DKL games! I'm glad the Country trilogy will only cost $4.50 to upgrade. @Bass_X0 For me, it's just the absence of Donkey Kong Country Returns on the Wii U eShop, but I don't think that could be far behind. @skjia Which is why you should go ahead and vote for DKC2, since it's the absolute masterpiece of the bunch. Woah this is a great week! I'm already figuring out how I can set aside 15-20 bucks out of my budget for some Donkey Kong and one or both of those MonHun themes! Ironfall, DK, and that titian game is all something that I am going to look into. You need an opion to vote for "Donkey Kong Trilogy" or "One of the Donkey Kong games"
About time NoA released the DKC/DKL trilogies, now all that's left until NoA has caught up with NoE with regards to DK is DKCR on Wii U eshop. I wish I had enough money to purchase all the DKL games, DKC2, & maybe Ironfall. Oh, its on like Donkey Kong now, good sirs... My weekend is planned! Where is the SSB4 Cranky Kong DLC at? Man NOA don't know what there doing! @skjia I'm being mean and making you pick one that you'll download first. All 3 DKC for me. About time, better late than never I suppose. Though I'm worried from past experiences that there will be input delay on the dkc games. I'll probably get one of them first to see if it's playable. IRONFALL Invasion peak my curiosity, I may take a look at that. Seems like a lot of monkey business going on at NOA this week, must be the banana pay rise. So is the new Hyrule Warrors DLC not out this week? Finally! I'll be downloading those Monster Hunter themes the instant they become available. And after that I will be heading into the eShop and downloading the trial version of Ironfall. And I may pick up DKCR 3D thanks to the promo. I'll wait for a promo on the trilogy. @SetupDisk NA gets it in 2 weeks. Well I'll be damned. They actually got the rights back from Microsoft. Knowing North America's archaic copyright laws, I honestly didn't expect that to ever happen. Hurrah! Will have to find something to complain about next week... I know, my lack of eshop funds! For those that have them all, are the portable entries worth picking up as well if you also have the console ones? I see a lot of people asking this but not many answers. Releasing all SNES Donkey Kong Country games within the same week? Very awesome! I didn't complain once about the delay of DKC. Glad patience paid off. Thanks for the info but I just died a little bit inside. Awesome week! Not sure if I'll be buying anything as I have an SNES and all three DKC games. I might get a Donkey Kong Land game though! @ricklongo I disagree. I liked 3 the most out of them all. GravBlocks+. A match-three puzzle game that isn't a clone of Bejeweled. I already have all those Donkey Kong Country games on the Wii. I don't need to rebuy old games for a second time. Also, Ironfall... which is getting dismal reviews elsewhere. I will still give that a shot as well. Wow, my perdiction was true, they did come in February. ...I don't think I've ever gone from happy to sad so quickly before. I was excited that DKC and DKL games were coming back... but, now ALL of them are out at the same time. Aye, my wallet... it's crying. Granted, I already own DKC 2 on Wii, so I can get on Wii U for a discount. I'm getting that "Ironfall" game to try it out. @abbyhitter DKC3 had a dip in graphics compared to DKC2. It's a step back IMO. @NintyMan Oh, I'm pretty sure there's a problem. They were taken off the Wii Virtual Console apparently for no reason, and while they didn't elaborate on why, it seems pretty obvious that this was some kind of dispute. Rare does get money from VC sales of games they developed, and maybe there was a dispute about the size of their slice? I guess we'll never know, but they wouldn't have taken those off otherwise. @NbaJunkie I believe the storylines are all the same but the levels are definitely different. I'm probably going to have to upgrade my DKC VC titles while I have the chance because I don't want them to be team down again before I do. And I will probably get all three DKL games. Why do you hate my wallet, Nintendo??? WOW Nintendo, you've made me a happy camper today, and with my day off of work too! Now I can finally update the Country Trilogy and give the Land Trilogy a try! @Porky @abbyhitter Graphics aren't exactly the reason I prefer DKC2, though... that's mostly about level design, general atmosphere, and that incredible, incredible soundtrack. Booooo, Nintendo. BOOOOOOOOOOOOOOOOOO. You take those DK games back. Don't do this. You release nothing right now. Go. Wow! Really didn't not expect all the Donkey Kong games to get released at the same time! Will be picking them up and Ironfall - Invasion. My PNY 128GB MicroSDXC Card arrives in the mail today. Then will be getting a New3DS on Saturday. Can't wait! If only we got the Wii download of DKCR, this week would have been perfect. I'm not complaining though. Monster Hunter Theme! Of course there are also some games to nab up but that'll look nice on my MH4U system. With MPT, MM3D, and MH4U, I have been way too busy to complain. My only issue will be not having enough time to finish everything before Xenoblade 3D comes out in April. I'm buying every single one of the Donkey Kong Country/Land games. See you guys in about a week! No more Wii eShop games? I want Kirby's Return to Dreamland! Though the DKC series is welcome. IRONFALL and DKC... just so I can get that 30% discount on TROPICAL FREEZE!!!!! This is looking good DK ,and DK2 for a dollar fifty. I haven't played DK 3 so I'm excited. The 30% on tropical freeze makes it tempting. They released all of them at once. I have a litercy project that I'm working on. I have to be disciplined . Rejoice my friend! It's finally happened! IT'S FINALLY HAPPENED!!! I fell to my knees and let out a scream of joy at work when I read the headline, then ran out the lab to the break room. My coworkers think I'm a little weird. Well, I'll get DKC trilogy if my Wii U will ever get fixed. It's been broken and at Nintendo's repair shop since Jan. 30th. DKC FINALLY! Thank you Jesus! I'll probably also get Ironfall. LOL what's next to complain NA? Actually RARE gets nothing for DKC. All characters in the game are owned by Nintendo, even the ones RARE created. They even made a statement about it when asked, and said they have no idea why the games were removed and to ask Nintendo. That was just a speculative rumor someone started in an effort to make sense of things. Unfortunately, we may never know why. But we do know RARE had nothing to do with it. I kid you not, I chose "nothing for me this week" just to annoy the DK lovers. But it is actually true, as the only thing I play now is HW. I plan to get DKC2 later on, and maybe one of the DKL games to try them. And Fire Emblem Sacred Stones. Can't forget about that one! And I didn't know that about Rare. I admit I don't have any concrete idea of how these deals work, but I thought it stood to reason that they should get something at the very least. Three weeks to Outrun 3D. I am excited! Go sega! Go Sega! Go Sega! It's been longer than a year since Nintendo released GBA's Metroid Zero Mission on Japan's Wii U VC....what's going on Nintendo???? I am not a huge DK fan, but I will be honest that DK Country is tempting. I want to say that I managed to get to the last boss on a friends copy on the SNES, but cannot remember if we ever actually beat him. Well it's about frigging time with the DKC trilogy Nintendo!!! All 3 for my son & me! @KeeperBvK: Damn, still no NES 3DS VC again! GravBlocks+ for me this week. Support those indies! 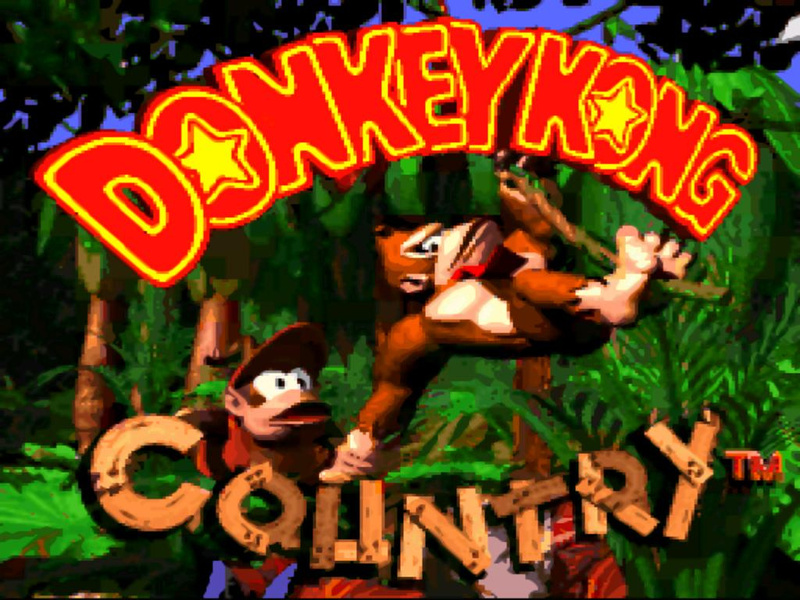 Oh and DK Country too, you cannot go wrong there. SPLENDID WEEK WOW — Can't wait to get some Gameboy Donkey Kong!!! It's been too long! Dang it! That Donkey Kong offer should work in reverse as well. I already own DK Tropical Freeze and DK Returns 3D. I should get 30% of the virtual console games! "I already have all those Donkey Kong Country games on the Wii. I don't need to rebuy old games for a second time." You could update them for your Wii U, and play them off the gamepad. If I recall correctly, it's only $1 or $1.50 to transfer them over from the Wii app. Unless you mean that it's still on your old Wii. Btw, with that whole miiverse chat we had, best of luck! 30% off Tropical Freeze has me interested. Been meaning to pick this game up and been waiting for a deal. Hate digital games though. Tough call. Gotta wonder why all the sudden love for DK from NOA. I mean, I'm okay with it (he is the original Nintendo mascot, after all), just curious where it's coming from. Maybe to build up some hype for Mario v. DK: Tipping Stars? Why exactly are the Monster Hunter themes being held back until Saturday? That makes no sense. Golden Sun 2, DK Country Returns and Kirby's Return to Dreamland for Wii... that's basically all that I care about now.... then maybe all the normal New 3DS stuff that We don't get because Nintendo thinks North Americans are stupid and retarded. I'd imagine the only real reason is because they wanted to discount DKC: Tropical Freeze, and DKC: Returns, so the VC games go nicely with that. @Gerbwmu Well they wont release it on Wii. And they refuse to release N64 games on Wii U becuase you can buy them in vWii and they are too lazy to update the Wii U VC emu to play N64 games. So yeah, never. @BinaryFragger No DK64. People love that game. and no Goldeneye 64. Even though they can just buy the Wii version. Now that we've got these games, which ones do we complain about not having next? I can pick up all the DKC games for a discount too! I may check out the DKL games at some point to and also Ironfall eventually. I think the hesitancy to bring N64 games to the Wii U VC has to do with the continued mining of that catalog for 3DS remakes. They don't want to undercut themselves on the 3DS versions of OoT, MM, and SF64 (or any others they may try to revive) by having versions of them available cheaper for the Wii U VC. I don't necessarily agree with that logic, but I think it's the best explanation for the continued lack of N64 games on Wii U. Oh well, I can always play them in Wii mode, annoying as that is. Are these releasing on wii VC as well? Ironfall for me, plus Donkey Kong Land 1-3 eventually. I would get the Donkey Kong Country Trilogy, but I still have the originals. It's monkey week! I mean, Donkey! Was hoping for a surprise Wii VC release like Xenoblade or Last Story, but Nintendo can have my money in the DKC and DKL titles. Would also be nice to have a discount on buying multiple DKC and DKL titles themselves, as I already own DKTF and DKCR3D. Will also give TitanFall... I mean IronFall a try. I wondered why I had the sudden impulse to buy the Diddy Kong amiibo this morning, and this may be why. Nothing isn't first. The surprise grows. Now we need Donkey Kong Country on GBC and the DKC trilogy on GBA. @JaxonH I was referring only to DK though, for VC in general there is way more for NA to get than just DKCR and Sacred Stones. The fact that Kirby and the Rainbow Curse got released in NA when EU got Return to Dream Land probably means the reverse will happen when Rainbow Curse arrives sometime in 2nd half of this year. All the DK games all at once. Very nice indeed. ALL THE DONKEY KONGS GAMES! Huge difference, the GB games are good too. It's amazing what they did on the underpowered game boy. I'm having a heart attack of all the awesome Donkey Kong-ness!!! Oh my gosh!!! Why are they releasing parts 1, 2 & 3 at the same time?? My heart can't take it! XD XD I've been waiting for DK Land to be release ever since the birth of the eshop! FINALLY! T_T FINALLY!!! T_T Gotta go get me some eshop cards then! Just gonna put in all 6 dkc&l games at once without a gap in weeks between. Eh okay, didnt wanna complain anyways. Restore the Wii vc dk games and I've got yourself a show. I'm not spending any money this week so...ironfall! Who remembers the credits theme from Donkey Kong Country 2: Diddy`s Kong Quest? @IronMan28 Since you asked....where is Donkey Kong Country Returns for Wii on North American VC????? Guess I'll be getting the original DKC soon. I remember wanting for my Wii at home, but that was before they took it down the Wii Shop Channel for some reason. @Undead_terror Titan Attacks is alot of fun. I have it on the PS4 and if you are a big fan of Space Invaders you will enjoy this one. As for me I think I might pick up TNT Racers been looking at that one for awhile. They're unplayable in Japanese and won't be translated, so don't expect them. See how easy it is to make $25 Nintendo! Although I think I'll be buying 1 than 2 than 3 as I chug my way through the DKC trilogy. I figure this will help keep me focused on beating the game at hand without skipping around the 3. Very excited this finally hit NA! @Philip_J_Reed Dude, DSiWare games are so last year. I oozed tears of joy when the DKC trilogy returned!!! Now the real questions is, will the GBA ports ever show up? After Super Mario World made two appearances on the eShop, you never know! Will be getting all SNES donkey kong games on the Wii U eshop, but right now I can only get one of them so I guess I will go with my favorite one Donkey Kong Country 2 Diddy's Kong Quest. Even though I have never played the 3rd one. Now there are too many good games at once! I don't like!1111 LOL. I am happy that they FINALLY released the DKC Trilogy in the US though, and all at once too O_O. I'd love for them to do stuff like that again with other good series. I'm definitely getting the MH4U themes once I get another eshop card. Well dont really care for digital games since I like to trade the games in when Im done with them. So this is a tough one. @paleboyjack I think you guys got it first, like last year. Downloading DKC series now, I love this series, and something about the SNES versions just resonates with me. The sound, graphics and secrets. I love it. I can hear the dripping in the caves now. @Tron I think @paleboyjack was just trying to be a a$$ to us that are in North America. I've been waiting for this day for so long, and they put them all up at once!!!! I will be downloading them ALL eventually for sure (including the rest of the Land series, haven't played!). I love DKC so much, but I played the GBA ports of the trilogy, so having it on the big screen in high quality will be a new experience for me! Very happy now All that's left is to give us Donkey Kong 64 now, Nintendo...... c'mon, please? @paleboyjack DKC&L may have already released to your territory a while ago. @EvisceratorX I'd rather have unreleased gba games rather than purchasing dkc,super ghosts'n Gouls, or smw a second time on the same system. Not trying to be a downer but what's the point? Donkey Kong games. Donkey Kong games everywhere. Also have Titan Attacks on PS4, and can also attest to its quality. Get it! With that said, I downloaded Donkey Kong Land as soon as I heard about this. I'll be downloading the other games soon. Are they back to Wii too or only Wii U? I want to complete my Wii VC games and download the DKL in 3DS too. To people asking about the Wii VC here; newsflash, Nintendo is doing putting things on the Wii Shop. It is about time! Now I can upgrade my Wii Virtual Console versions of the DKC series to Wii U. I will try Ironfall too since it has a free trial. I bought all three dkc for the wii u, breath of fire for wii u and the three dkl for 3ds....I never have bought 7 vc games in one day before. very happy to have these. I have been wondering what will happen when Donkey Kong finally gets released. I think traffic on this site may fall immensely. Then again we do have Amiibos to complain about so we should be okay. This week also makes me sad. Remembering how Rare used to be awesome. What the heck happened? So what's next America? Can't wait until you people find a way to complain about the complainers!!! Finally the Donkey Kong games! I'm so excited to play these again! @NintyMan: They were outright removed from the Wii Shop Channel in 2012. Why would they do that if not for a copyright dispute?. I've been really into DK Tropical Freeze the last few weeks, so I'll give those three Rare entries a chance. I've heard so much about them but never had the chance to play. @sweetiepiejonus : I know what would take away your sadness...Perfect Dark and Goldeneye dropping on the eshop with online co-op. I guarantee the internet would shut down for that. Now that's a mother lode of VC goodness. The only thing keeping me from buying DKC 1 and 3 myself is my plan to buy the cartridges off eBay. Have you or anyone else at Nintendo Life reached out to ask Nintendo if the Donkey Kong Country games will be added to Club Nintendo before it is shut down? @Bass_X0 Mother 1 had an offical translation. Just was never released. @Mr_Trill281 I'm beginning to think you don't play video games at all sir. All 3 Donkey Kong Land games for me. Wooo hooo!!!!! Jackpot! I want to throw money at nintendo, thousands of dollars but they won't let me. Instead they rather let people on ebay selling old games make their profit and force people to roms and emulators. Go nintendo. Now your playing with POWER! "Donkey Kong Land 2" wasn't so bad, and if you're going to fault it for being to similar to the SNES game, (DKC2 in my opinion is the best DKC game, so that's not a bad thing for me) then I don't understand the praise for DKL3, as it's alot like it's SNES counterpart to, just with a match card mini-game added, and slightly altered boss battles. I didn't think DKL3 was the "best" DKL game personally, but it was pretty good, I admit. The DKLand trilogy is worth checking out for 3DS owners, don't let the "watered down" black & white Gameboy graphics fool you, as they're just as good as the SNES games IMO. Sense "Super Mario Bros. Deluxe" got rereleased on 3DS VC, I wonder if they'll bring the Gameboy Color version of DKCountry to 3DS, as well. Yo @Porky, the only game @Mr_Trill281 plays is Bulls vs. Blazers and the NBA Playoffs for his Sega Genesis. @BaffleBlend that was a Disney move bro- they took em down locked them in the vault and waited for demand to build up big time. Just about 3 years! DKC, months after EU and still no Golden Sun: Lost Age. Nice it's not one at a time, but these drawn out release schedules, coupled with idiotic pricing, platform selection and regional differences has closed me entirely to the VC. Nintendo should be hitting every month, not 3-5 times a year. Donkey Kong. All 3 DKC games for sure. Undecided on DKL. Also DKC3 is my favorite! Agree 10090% but...ya know what would make me jump up and down clapping my hands like a school child? Jet Force Gemini. Anything Jet Force Gemini for reallllz! now we only need Mother 3, Star Fox 1 and Star Fox 2 and everything will be fine. Unlikely for any of those, I'm afaid... I'll explain the reasons. What many people don't realize is, there's alot of work involved with porting games to Virtual Console. "Mother 3" was only released in Japan, and would take to long to translate, (one of the reasons it wasn't released here) as it's very text-heavy, and even the fan-translation took years to finish... It's also unlikely they can use the fan-translation freely due to legal reasons unfortunately. "Star Fox 2" is also unlikely, as it's game was never released, or even finished being made. (Despite the nearly-complete BETA version being leaked on the internet.) I remember the Star Fox Command developers during an interview were asked about it once, and they even said SF2 is not coming to Virtual Console. @ricklongo I prefer DKC3's atmosphere and overworld a lot more. I think the levels are better too. Where's the ALL DEM DONKEY KONG GAMES option? @Beau_Skunk It really can't be that hard for them to do considering you can already play all of them perfectly on a modded Wii.I am sure there is more to it than that.I've read before it's to do with licensing issues with the company that manufactured them or something like that. Dangit, why isn't there an option to vote "download all 3 donkey kong country trilogy?" Ironfall and the Donkey Kong games for me. Excellent week. I know you hear stuff like this all the time but I'm telling the truth when I say that Donkey Kong Country 2 is one of the finest games ever made. True. Sorry about double post, mobile phone issues. I thought Adventure Time: Secret Of The Nameless Kingdom was not available on Wii U? I would have bought it otherwise! Wow! What an expensive start to my day... not that I'm complaining! Well let me be all tecnical here for a second, cuz you can only download one thing "first." All three DKC for the Wii U the second I get home!!! @sweetiepiejonus I bought the entire DKC trilogy. I also own the original SNES carts. Ironically, I started with the first game, but my Wii-U installed the icons in reverse order, starting with DKC3. So it's like asking which is first, the chicken or the egg. @KeeperBvK "WHAT!? No Donkey Kong 64?! OUTRAGE! HOW DARE THEY!!!" I like how all the complaining and b***ing is people complaining and b***ing about how people will find something to complain about. If you guys could stop being insufferable and self-fulfilling in the future, that'd be great.